So now that the choice of what type of dog has been narrowed down to a couple of breeds, the blogsphere and news media are now focusing on what names might be right for the Presidential Pooch. Sheesh, you’d think there wasn’t any other news. 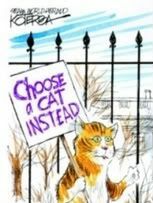 I loved how political cartoonist Jeff Koterba jumped on this frenzy by illustrating cats protesting outside the White House gates. The image to the right is just a teaser to get you to head over to take a look at the whole cartoon and commentary over at the Orange Country Register’s Fur Flies over the Focus on Obama’s dog. This is a topic that people are having fun with…the Seattle Political Satire Examiner released a tongue-in-cheek article about how the future Obama dog will have to face a psyche evaluation while the Obama Dog blog is asking for name suggestions. 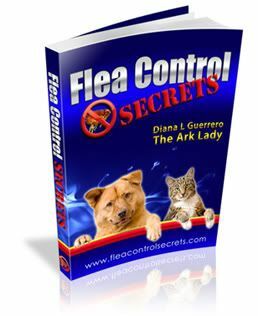 They blogged that the name Maverick, picked as most popular by readers of L.A. Unleashed was a good one. But some of us will head over to the Obameter to check it out while also keeping an eye out on topics other than the Obama dog. So, I wonder if the Obama girls will start pondering names now or wait until they actually meet the pooch before deciding…maybe the dog will already have a name! So, guessing these are your name suggestions for the new Obama Dog? Clever variation. Thanks for stopping by Nancy–hope to see you comment again.